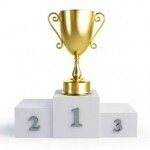 It’s important to consider coffee brewing methods when choosing your single cup coffee maker. It doesn’t matter how great the machine is if it doesn’t produce coffee you like – and your unique taste in coffee may be easier to achieve with one brewing method over another. The coffee maker’s brewing method affects the taste of the coffee, how long it takes to brew, what kind of coffee can be made (drip, espresso, etc.) and how messy the process is. It also determines what form of coffee can be used for brewing – ground coffee or prepackaged pods or cups. Coffee makers that use pre-packaged coffee packs are simple to use, neat and nearly foolproof, producing consistently good coffee (here’s our favorite ). However, personal brewers that use ground coffee allow for more flexibility. Both the coarseness and quantity of the grind affect how strong the coffee is. 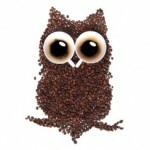 Finely ground coffee usually produces stronger coffee than courser grinds. More coffee per cup of water also produces a bolder brew. Keep in mind that two other important factors affect how flavors are extracted from the beans, and the taste of the coffee produced: water temperature and brewing time. While there’s some disagreement about the perfect water temperature for brewing coffee, most agree that the water needs to be between 193 and 205 degrees Fahrenheit for best flavor extraction. Colder water results in flat coffee lacking in taste, while water that’s too hot can cause the coffee to become bitter. Brewing time is also important. The longer the coffee comes in contact with the hot water, the more flavors will be extracted and the bolder the coffee will be (or over-extracted and bitter, if brewed for too long). One other factor can make or break your coffee, regardless of what brewing method your personal brewer uses – the water. If you don’t enjoy the taste of your water, or if it has troublesome chlorine or sulfur overtones, you probably won’t like coffee made from it. Bottled water is a good choice for use with any type of personal coffee maker. There are a number of ways to brew coffee, and each uniquely affects the taste of the coffee produced. 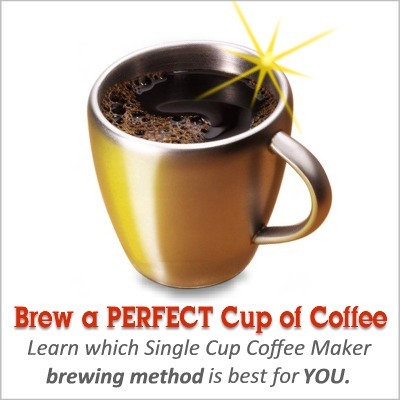 Here are some common brewing methods employed by single cup coffee makers. Pressurized Brewing Systems – These brewers force pressurized hot water through ground coffee, extracting flavors more quickly than with a gravity drip system. Keurig is one brand that uses this method (although in Keurigs it’s more of a pressurized/drip hybrid). Their machines often require that their special coffee packs (K-Cups) be used for best flavor (although ground coffee can be used in some machines, provided you purchase a special filter). This makes for convenient, quick and mess-free coffee making, with over 200 K-Cups in standard and gourmet blends to choose from. The cost of K-Cups adds up over time, but can be a savings if replacing a gourmet coffee shop habit. 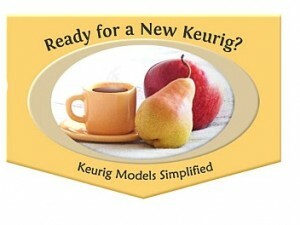 Visit our Keurig Model Comparison Guide. Drip Coffee Makers – Standard drip coffee makers are the most common brewers in the U.S. and usually produce 4-12 cups of coffee per brewing (4 standard cups of coffee can be just right for a large travel mug). Some personal brewers use variations of the tried-and-true drip method. These tend to be the most economical, as you can use your favorite ground coffee rather than having to use pricier pre-packaged coffees. However, if your tastes run to gourmet coffees, you may be unhappy with standard drip coffee, even though these brewers give you more leeway for creating custom blends and bolder flavors. Drip coffee makers operate by allowing hot water to flow through coffee grounds contained in a filter. 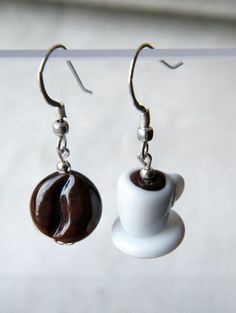 Gravity causes the brewed coffee to drip into a cup or mug. Drip coffee makers often take a little longer to brew than some other methods. 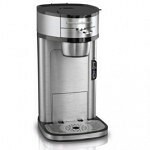 One example of a popular (and fast) personal drip coffee maker is The Scoop by Hamilton Beach. Read our review here. Cone Pour-Over Systems – This method, a precursor to automatic-drip coffee makers, is still popular today for making single servings of good coffee. A cone shaped device, similar to the filter holder in a drip coffee maker, is placed on top of a mug. A paper filter is inserted and coffee added. Hot water is then poured over the beans and coffee flows through the hole in the bottom of the cone into the mug. 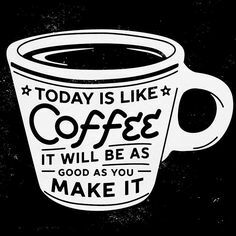 It generally takes 2 – 3 minutes to produce a cup of coffee. These coffee makers allow for personalized brewing, as it’s easy to experiment with coffee types, grinds and amounts to achieve your perfect cup of coffee. However, they can be messier than single serving machines that use pods or K-Cups. 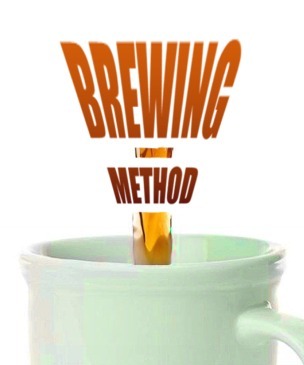 Learn more about the pour over method. French Press Pots (Plunger Method) – With this method, coffee is steeped in hot water to fully extract the flavor compounds (similar to steeping tea). Hot water is poured over coarse coffee grounds in the French press and allowed to sit for a few minutes before being gently stirred. Once brewing is complete, a filter piston is used to press the grounds to the bottom of the pot and the coffee is poured off. Admirers say that French presses make rich, bold coffee, but also note that they’re inconvenient, require a lot of cleanup and the coffee can cool to an undesirable level during the 2-to-4-minute brewing process. 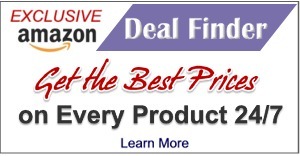 Learn more about French press coffee makers here. Cold Brew Coffee Makers – While heat is required to extract coffee flavors quickly, the cold press brewing method allows coarsely ground coffee to sit in room temperature water for 12-24 hours. The resulting coffee concentrate can be mixed with hot water (and/or milk) to make full-flavored coffee almost instantly, or mixed with ice for flavorful iced coffee. Cold brewed coffee has far less acid – which makes coffee bitter and astringent – and therefore seems sweeter and more complexly flavored. Learn more about cold brewing here. Espresso Machines – To brew true espresso, you need a machine with a strong pump that forces hot water through finely ground coffee. Espresso typically brews in 20-30 seconds, has the consistency of warm honey with a golden foam, called crema, on top, and intense, concentrated flavor. Espresso beans can be brewed in conventional coffee makers, but should not be as finely ground. This generally produces a rich-tasting coffee, but it won’t be the same type of beverage you would be served when ordering an espresso made with a good high-pressure espresso machine. If you prefer standard strength coffee and/or gourmet blends, you’ll probably enjoy the taste and convenience of a Keurig style pressurized single cup coffee maker that used K-Cups. It may be easier to replicate the taste of your favorite drip coffee blend with a personal drip-style brewer than with pre-packaged K-Cups by the same brand. If your taste buds demand extra bold coffee, they may be happiest with the messier French press or Cone Pour-Over systems. However, these are generalizations. Only you can determine which of the coffee brewing methods best suits your taste and desired level of brewing convenience.